I have found the perfect diet, simply bite off more than you can chew! 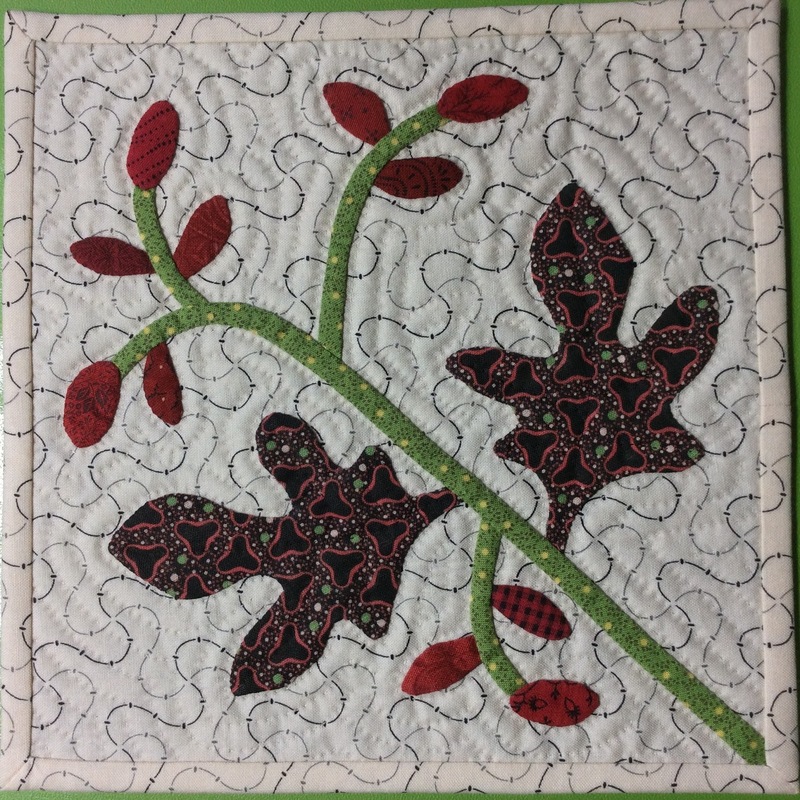 It seems that I have said “yes” to a number of new sew-a-long and other projects for 2019. 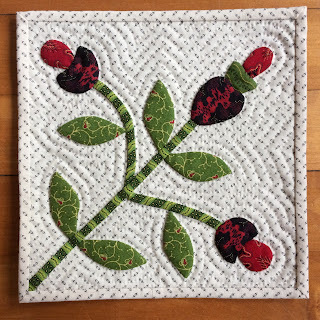 My current “monthly mini” challenge - which anyone is welcome to join in on any given month. No rules! Pam Buda’s C1880 Quilt. I’ve been secretly sewing (along with Janet and Cyndi) on another Pam Buda project for quite a while and I will do a separate post on this one after the “c1880Club” begins in January. I am so excited about this new project and I hope many of you will want to join in the fun. 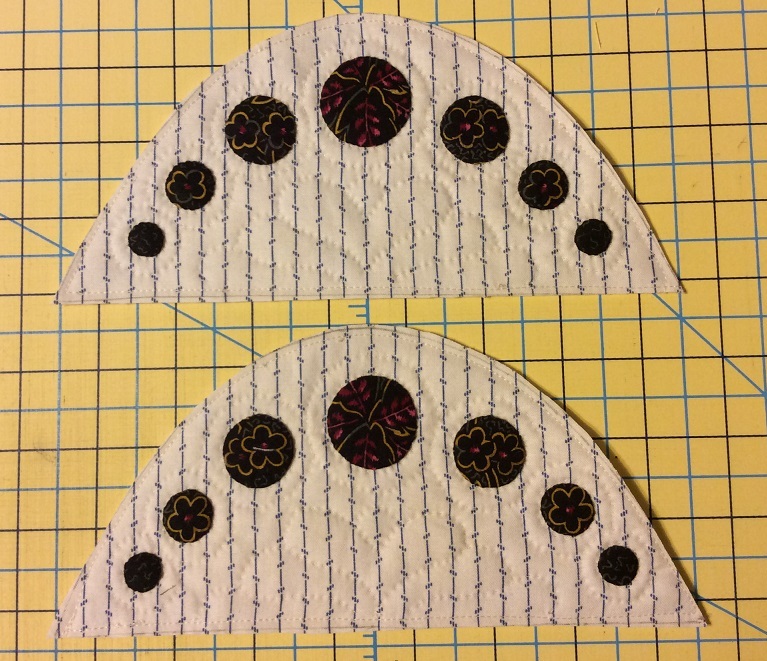 Her new fussy cut templates make assembly and trimming a breeze. You won’t want to miss this one! 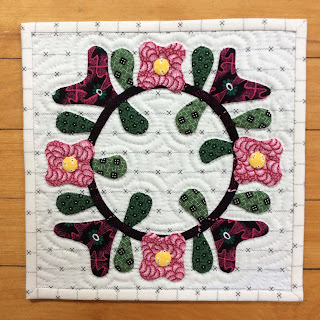 Barbara Brackman’s (Civil War Quilts) 2019 challenge “Hospital Sketches”. I haven’t followed one of Barbara’s for a while and this one is right up my alley. Only 9 blocks and ALL applique – woohoo! 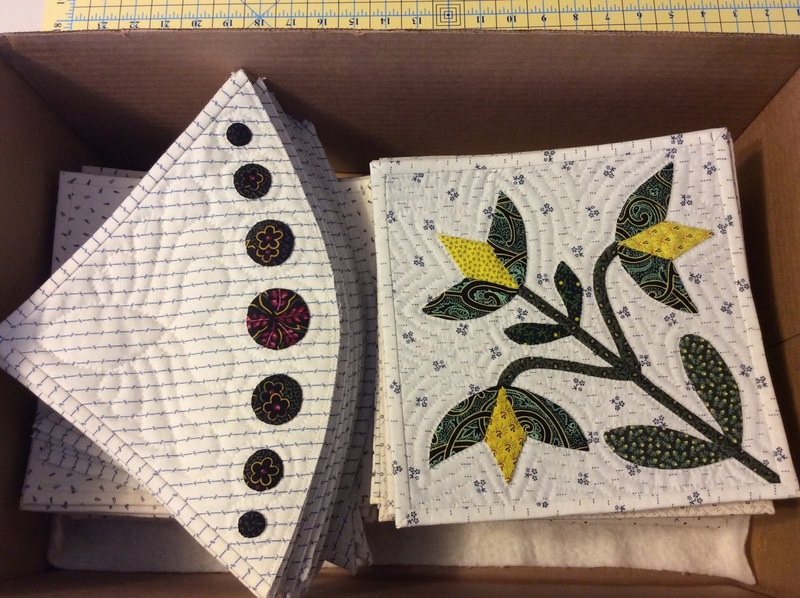 Lori’s (Humble Quilts) string piece blocks. This will be an easy (and fun) one as I can use it as a feeder project while working on other things. Bea and Cecile’s quilt-a-long theme this year is flowers. How could I resist? This is doable as well, since it is only January and February with a 16 block minimum. 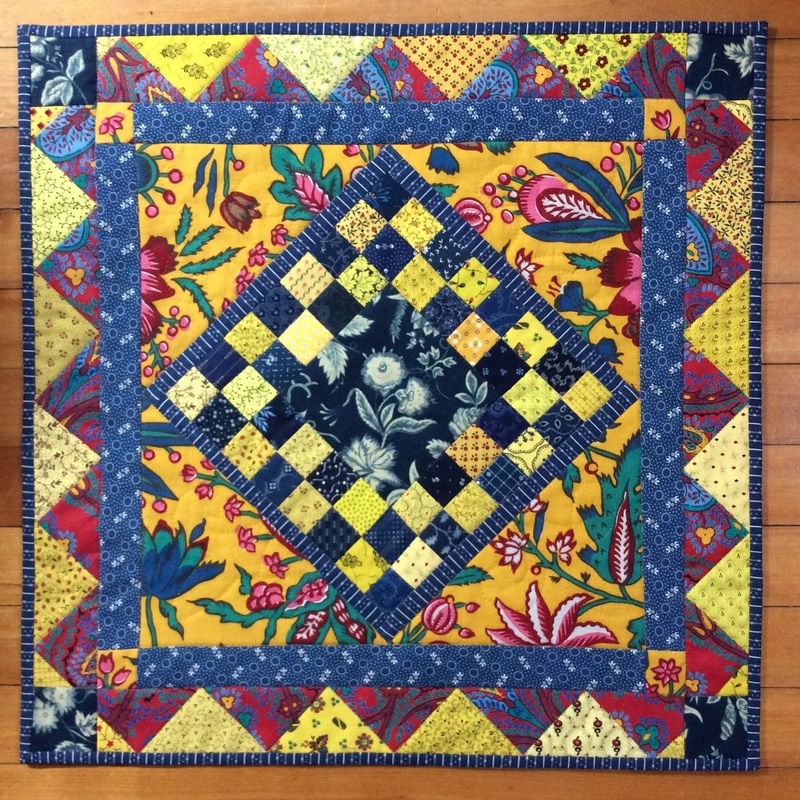 Maine Bicentennial Quilt Project. 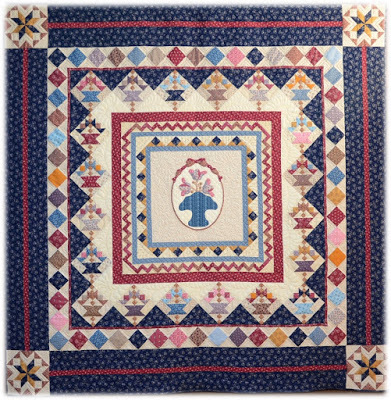 Maine will be celebrating her 200th birthday in 2020 and I am looking forward to helping with a “potholder” quilt project that will include PTQG (Pine Tree Quilters Guild) members from around the state. 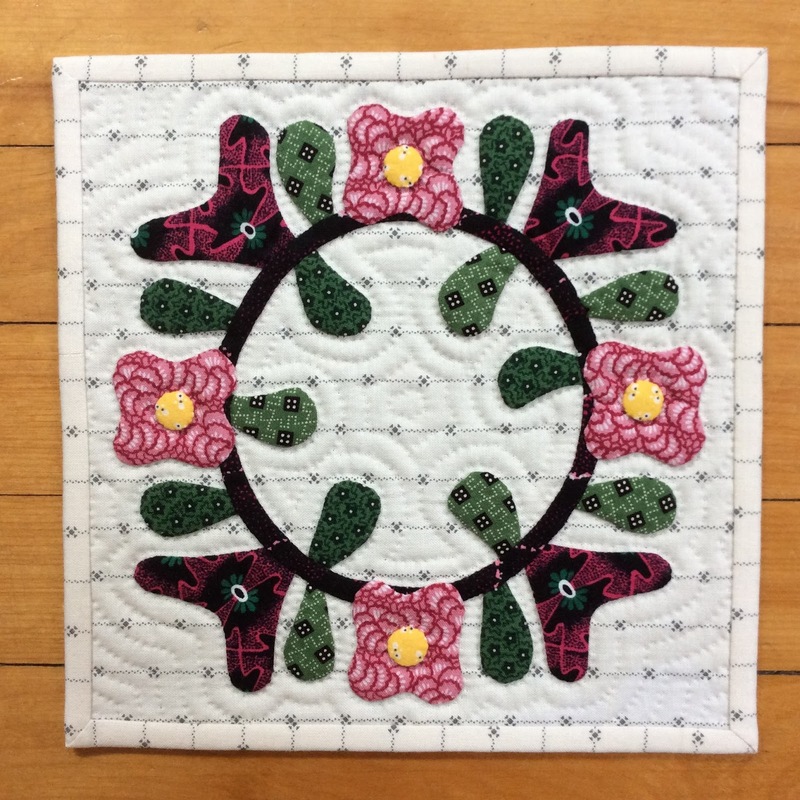 We will also have a fabulous exhibition of quilts (in two parts) at our Maine State Museum under the guise of Laurie LaBar which is not to be missed! I also plan to start a long term applique project of my own design that has been in the works for a long time. It will be something I pick away at in my spare time (tee-hee). This list does not include my regular activities in the making of veterans and other charitable quilts (animal shelter, hospitals, etc.). Don’t worry, I’ll still fit them in too! Apparently, I’m just a girl who can’t say no! Of course this extensive list means I will have less internet time, so please forgive me if my comments on your posts are shorter and later than usual! 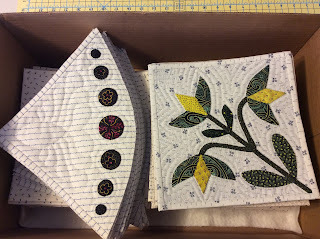 Obviously, I will not have time for cooking or eating, so I should end 2019 twenty pounds lighter and quite a few quilts richer! 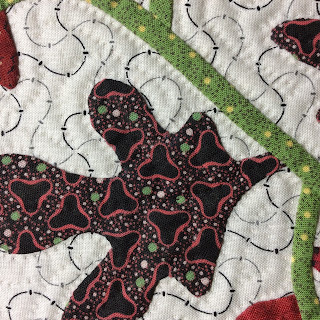 I wish you all a Happy New Year filled with fun quilting projects. 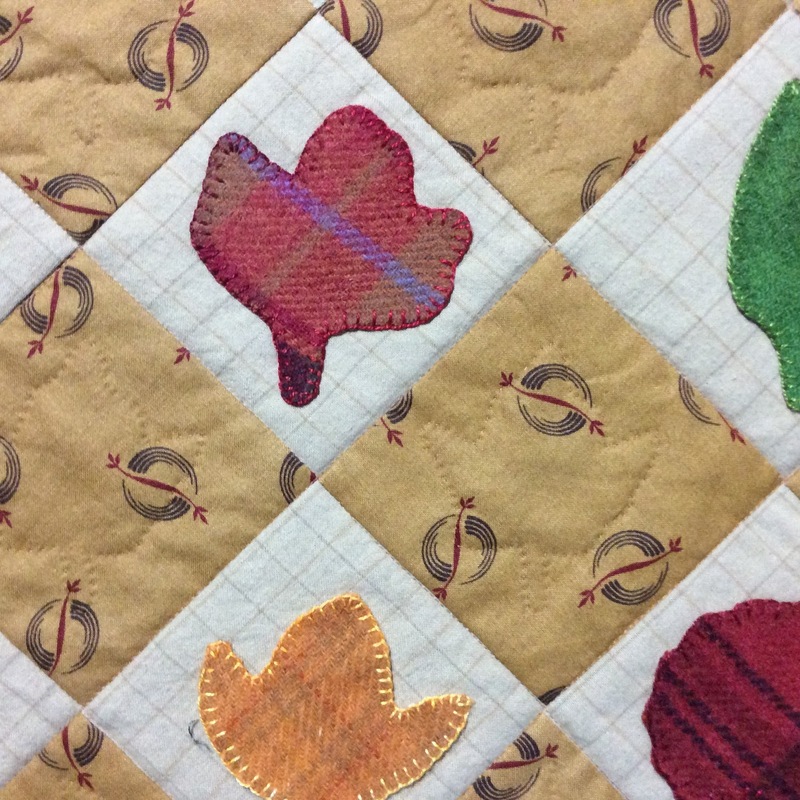 I hope a few of you will join me in some of my quilty antics! Wow, December is screaming by! I’ve been sneaking in a little time for my Noah and Matilda assembly in between other Christmas projects. Since I have nothing finished to show I thought I would share these two “Christmas Spirit” stories. 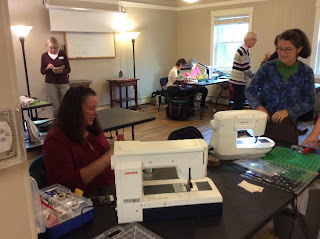 My local quilt group (Kaleidoscope Quilters) is very productive in quiltmaking for those in need. One of our endeavors is to make quilts for Maine veterans. 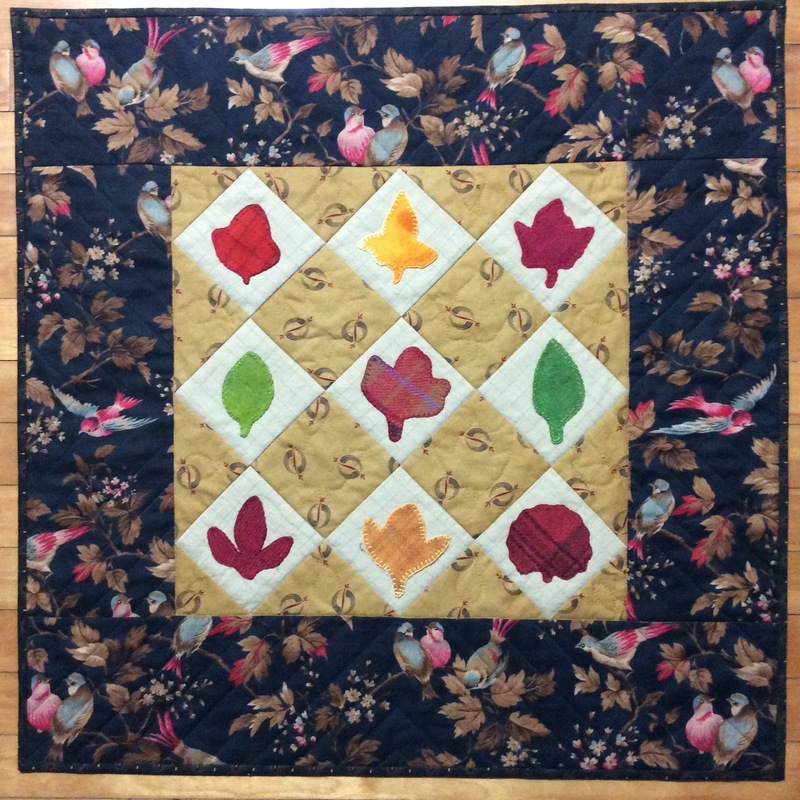 The following is a quilt that I assembled from blocks made by our group and was quilted by Sharon Patterson. 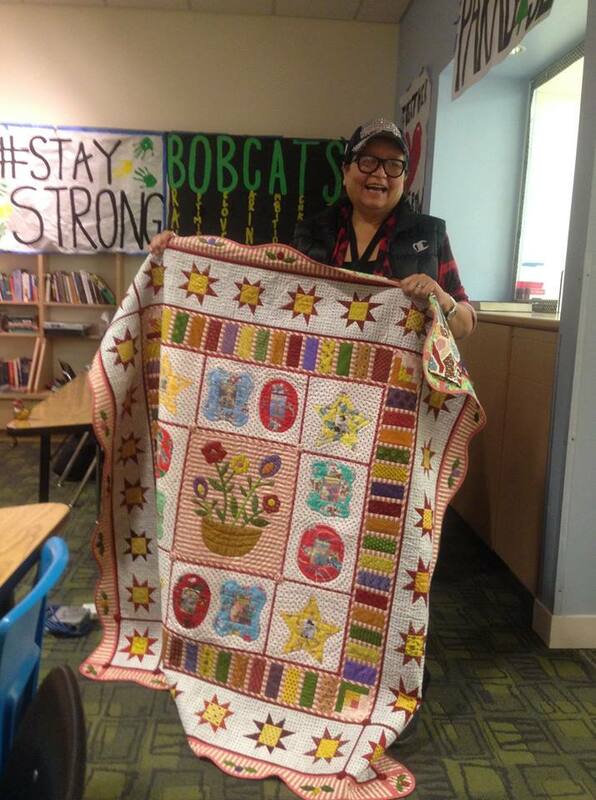 Christina Cromwell has taken dozens of our quilts to veterans around the state. 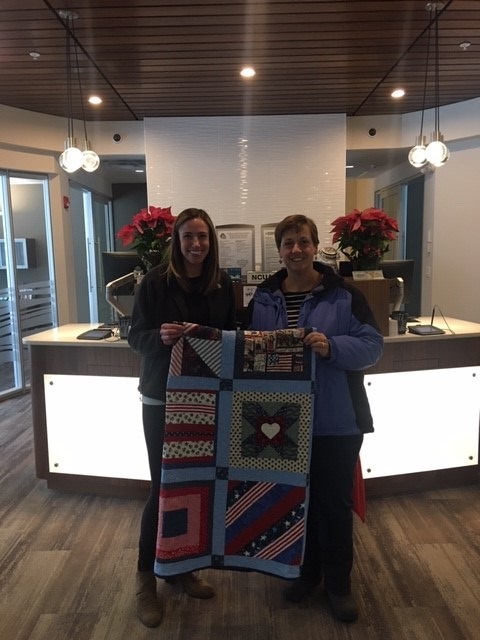 This quilt was raffled off by the 5 County Credit Union to benefit “Cabin in the Woods” which was established to provide permanent housing for “homeless veterans”. 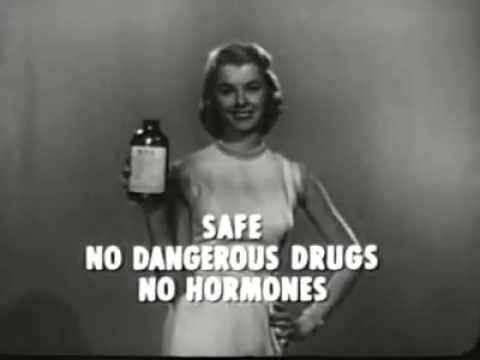 (Now there are two words that should never be in the same sentence!!) What makes this story even more special is that the winner is a daughter of a veteran who took her father to visit the “Cabin in the Woods” as it was being constructed. A very heartwarming story indeed! 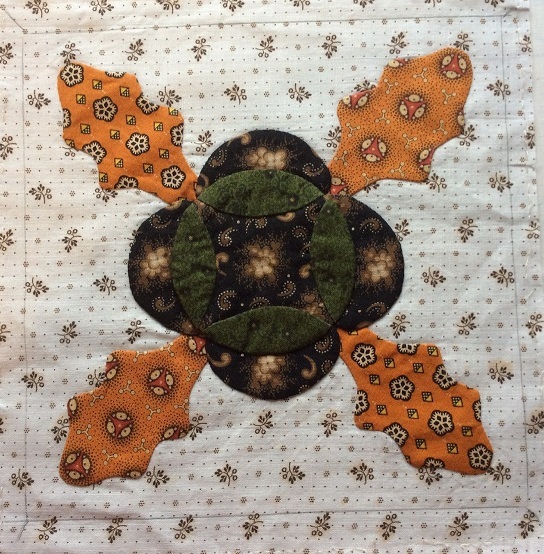 The next Christmas Spirit story is in Lori’s (Humble Quilts) own words and you can visit her Facebook page (here) as well. The quilt is the one I made in our “Gwennie Inspired” round robin which you can read about (here). I sent it to Lori in her efforts to help the victims of the horrific fires in Paradise, CA. I've had a good old fashioned cry this morning!! 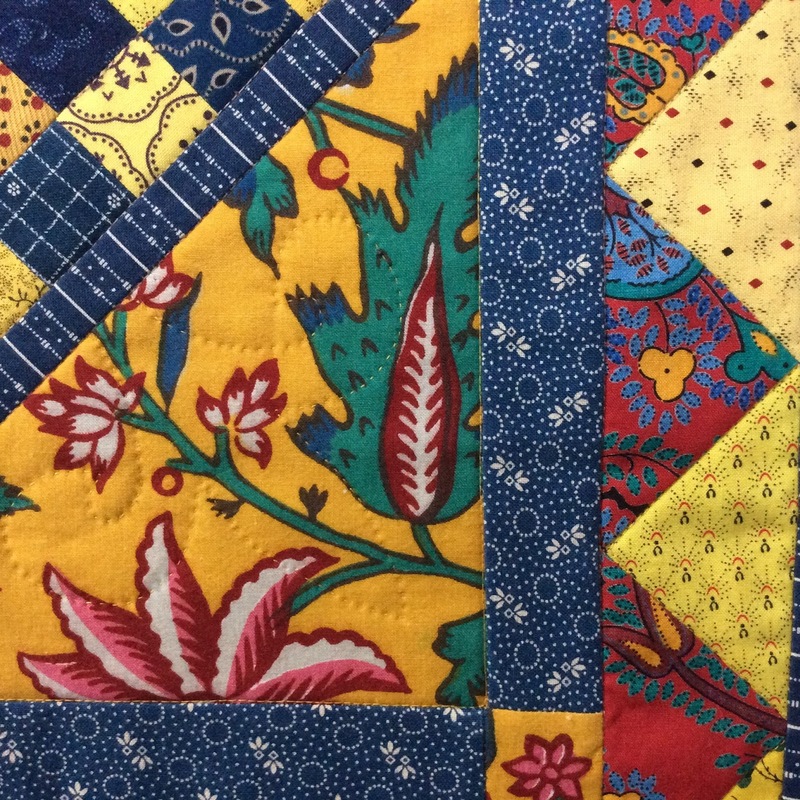 Here's your quilt! Carol is a beloved sub at Paradise HS. The kids love her and it's not because she always has candy! Carol also serves the ridge community in a very unique and purposeful way. She is the founder and director of the food and book bank in Magalia, “Food For Bellies, Food For Thought”. I couldn't have picked a better quilt for her. 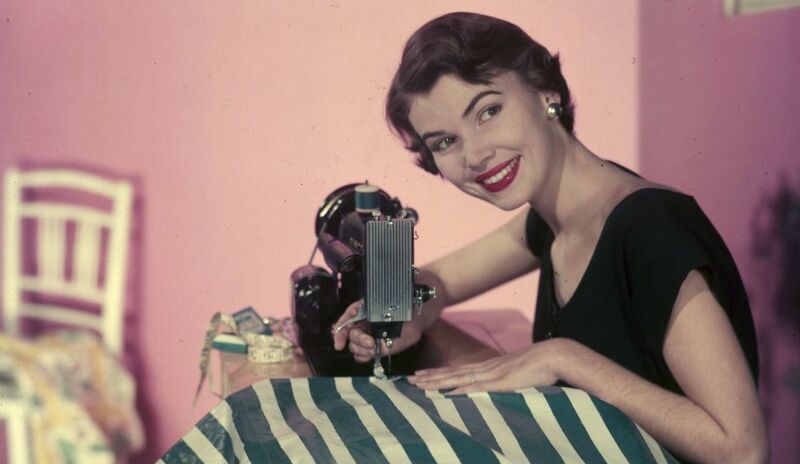 It was full of images from her childhood like paper dolls and cowboys like Hopalong Cassidy. 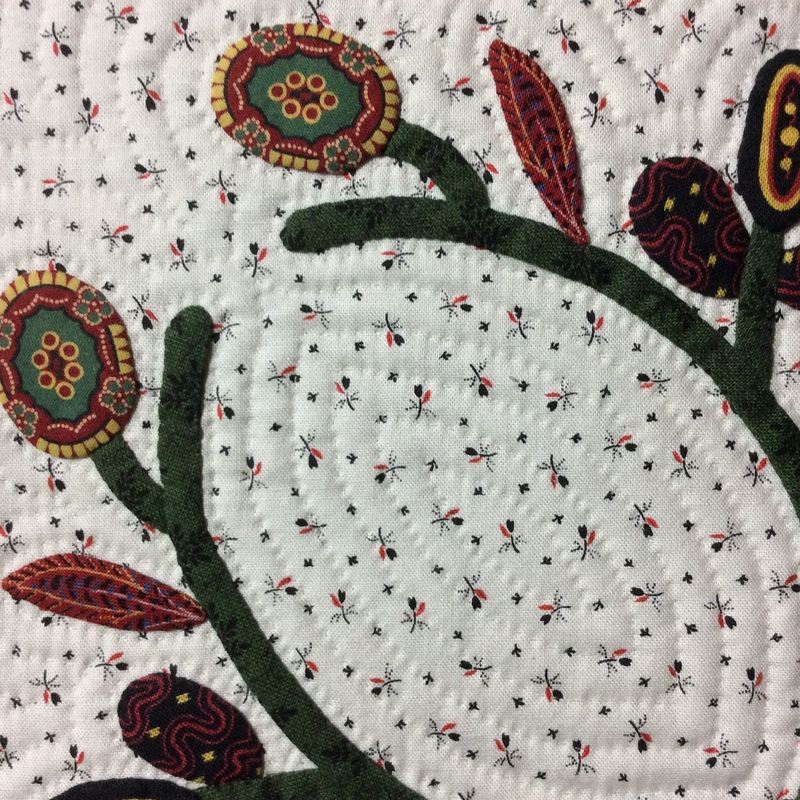 She was in awe of the needle turn applique and beautiful details of this lovely quilt. Enjoy it friend! 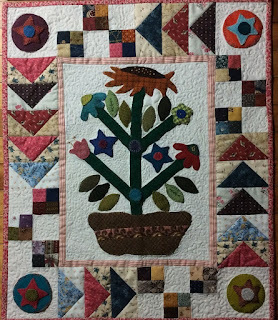 The recipient wrote: This quilt is an absolutely wonderful, amazing, beautiful, marvelous, obviously made with love, quilt which I will treasure for eternity (I'll probably be buried in it!!! Yeah, I love it that much!). It was a walk through memory lane for me as I could relate to each of the nostalgic panels, and I could tell that there was love poured into each stitch. Thank you, thank you, thank you .... ad infinitum! 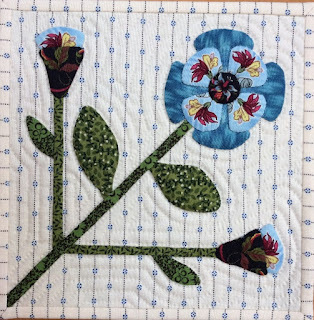 I am thrilled that this quilt went to Carol. I just know we are kindred spirits! Woohoo! I’ve met my goal of finishing all my Noah and Matilda blocks and border pieces by the end of November. 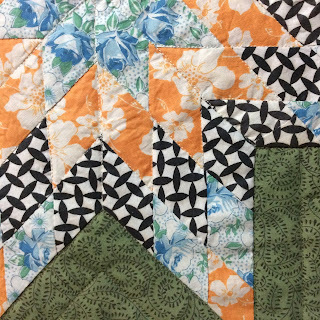 Here are my final 4 blocks. 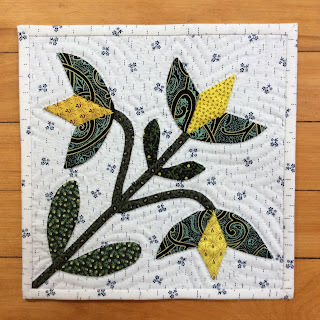 I have had so much fun with this quilt along and I really want to thank Dawn (Collector with a Needle) and all my cohorts on the Facebook site (here) for sticking with me! Now, to get it assembled before the end of the year. – no pressure! Of the many things I have to be thankful for this holiday season, my Blogging friends are high on the list. I came late to the Blog world and have already lost quite a few superb Bloggers to other forms of social media. But those of you who have hung in there to entertain and inspire me and other quilters are very dear to my heart! It would take days to list all of my favorites and I need to go make some pies (yes, I do cook when I have to!) so, just know that I appreciate each and every one of you. 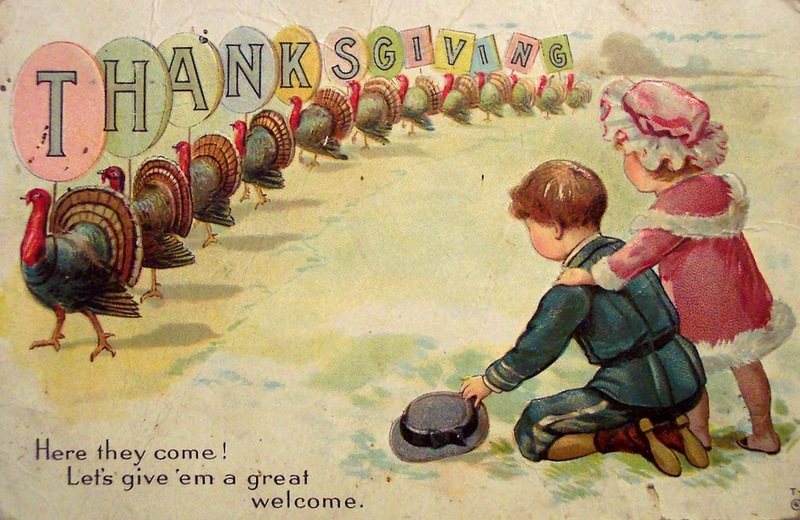 I wish you all a Happy Thanksgiving! I’m sure we have all by now heard of the tragic fires on the west coast. Many of us have already sent care packages. 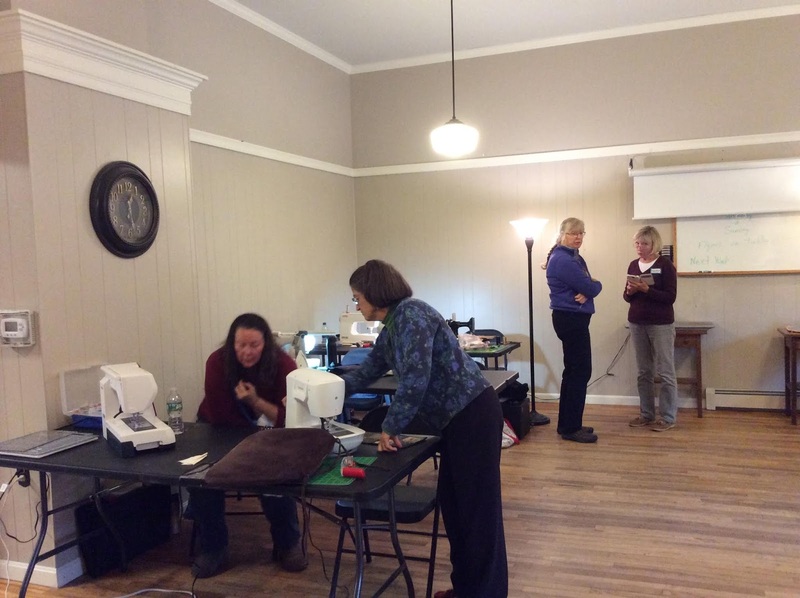 Lynn (Sew’n Wild Oaks) grew up in Paradise, California which sustained horrific devastation. Although her personal loss is great, she has come up with a way to help the people of Paradise as only a quilter could. She is donating this fabulous quilt that she and her sister made to the cause. 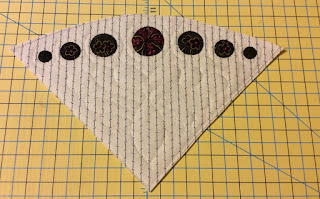 You can go to her blog post (here) and buy raffle tickets to "help stitch Paradise back together". 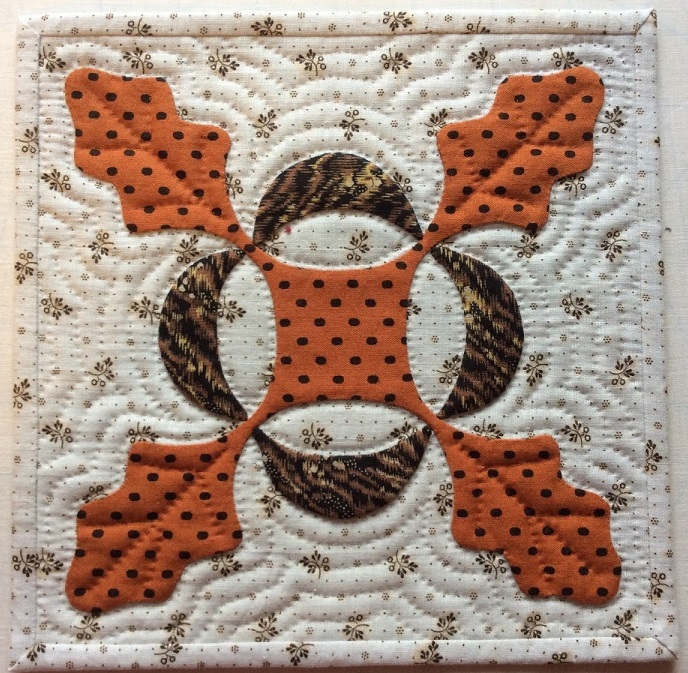 Update: I just read Lori's (Humble Quilts) post today and here is another way we can help. Thanks Lori!! I’m always up for a challenge. Stepping out of our comfort zone helps to stretch our creative minds. However… this one stretched me so far I felt like Gumby! 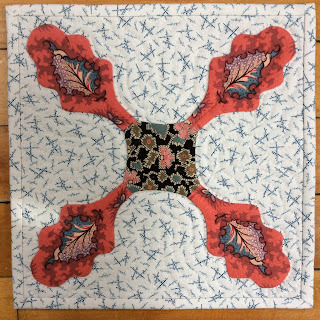 At our September Kaleidoscope meeting we all brought a yard of fabric and then proceeded to rip it into 5 parts. I got lost after the second rip, so I can’t tell you exactly how (or why) we ended up with what we did. This was my pile of “less than desirable” fabric pieces. Our challenge was to make something using all 5 fabrics and bring it back in November. This is the only thing I could come up with without tossing my cookies! Honestly, it is so bad I can hardly look at it. Sorry Kyle, but I’m not going to “label” this one with my name! I sheepishly slipped it into the hands of a friend who will be delivering kennel pads to the local animal shelter. May the cat or dog who sleeps on it forgive me! 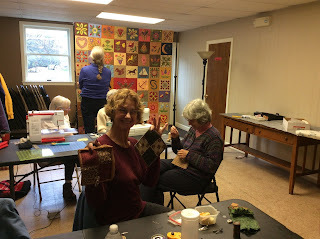 On a fun note, I taught a potholder class last weekend to a really fun group in Yarmouth. I’m always please when I can teach at least one new thing to a class. 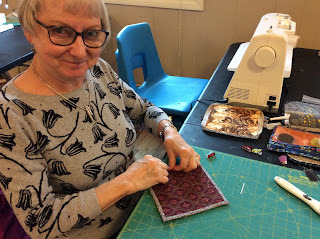 There are many aspects of the potholder method that are important to master in order to assemble them properly. These gals aced them all! 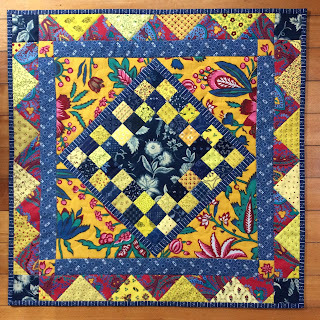 I machine quilted in the ditch and hand quilted in the yellow. Lori will be hosting a link-up soon, so do check out her blog (Humble Quilts) or her Facebook page (Humble Quilts) to see all the wonderful little quilts. Thanks for a fun sew-a-long Lori! I love the stripe in the stem on this one. It reminds me of Pippi Longstocking! Now that I am nearing my Noah and Matilda “finish” I think it is time to reveal my border treatment. 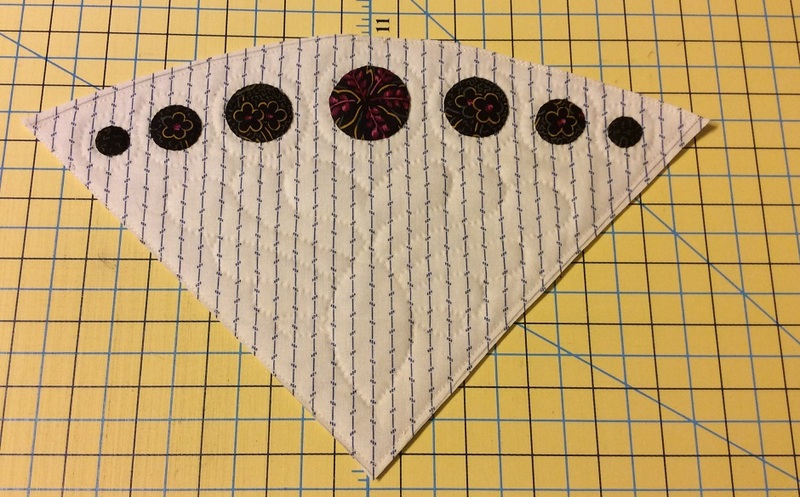 Because I am doing this in the potholder method I opted to not to the original “grapes” border. 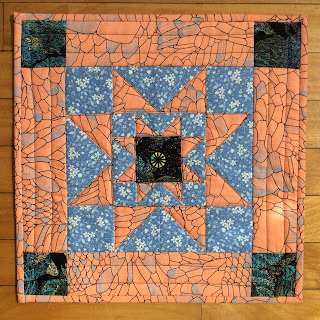 I think it would not have hung well as one straight individual border piece. I did want to keep the “circle” theme so I came up with a circle treatment that seemed to fit well. I had used this once before in a smaller quilt and really liked the results. Because I used the same backing on all the border blocks, I was able to baste them all on one background piece for easy quilting. Then I cut them apart and bound just the straight edges. 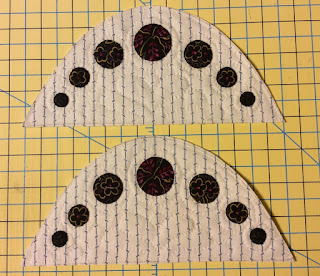 I am going to do one long binding along the edge when they have been stitched together. This is a first for me so keep your fingers crossed! The alternate blocks were going to be just plain, but when I laid them out I decided they needed a little extra boost. My blogging friend, Rose (Something Rose Made) had sent me this fabulous neon that fit the bill. 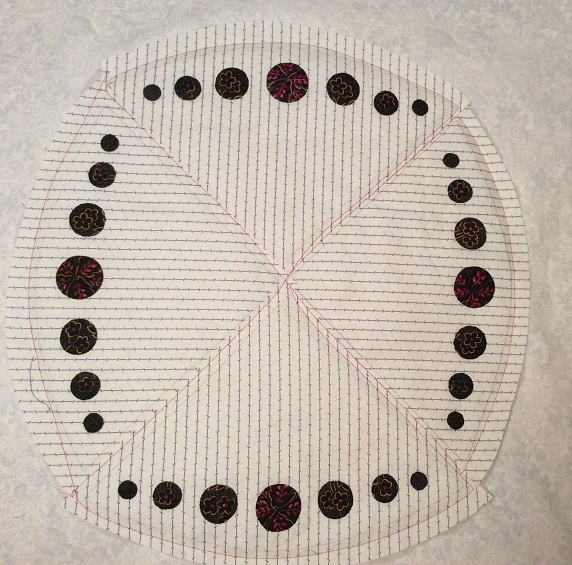 Since I am calling this my “Ruby Anniversary Cake”, (we celebrated our 40th in July) these little neon interlocking circles reminded me of wedding rings – what could be more perfect? 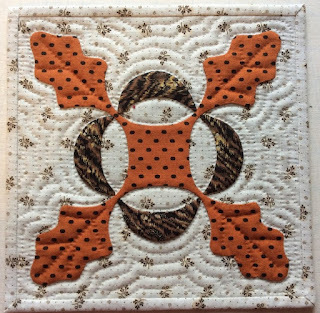 I used one of my favorite shirtings (designed byPam Buda for Marcus Fabrics) for the background and backing. 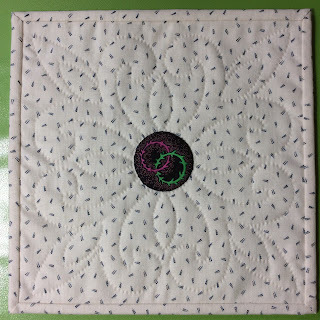 I designed a simple “fleur de lis” quilting design around the circles. 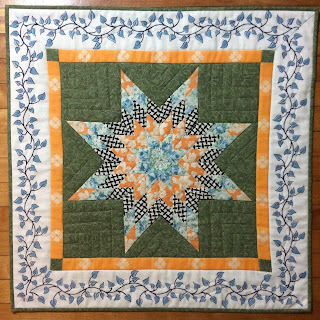 This project has not been without its problems and “do overs”. 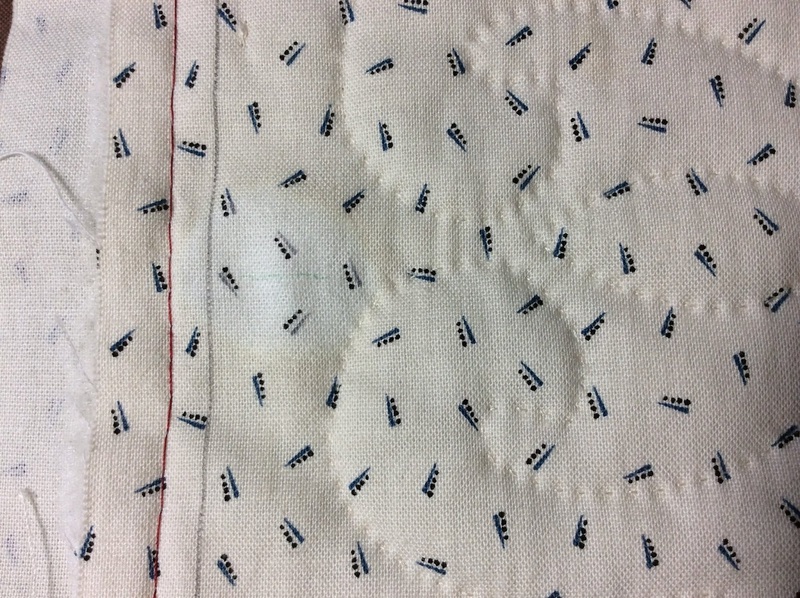 As I was trimming one of the corner blocks I did not realize that there were two blocks “under” the one I was trimming – ouch!! I must admit I haven’t done this for a long time, but stuff does happen… I dried my tears and decided I could salvage them by adding a little to the end. I matched it as best I could and called it “another life lesson”. As I was about to trim and bind one of the alternate blocks, I noticed a small ink stain along the edge. ARGH! 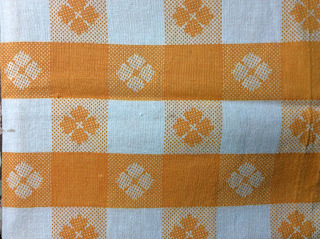 Maybe I can use a toothpick and bleach it out (after all it takes about 2 hours to quilt one of these puppies!). Hmmm, must be a very absorbent toothpick! ARGH! So, I made 31 alternate blocks instead of 30. At least I hadn’t bound it before I noticed it! These two blocks had to be made twice as well. This one because, well, I think it is self explanatory - ick! The Blob that ate Manhattan! and the redo - much better! 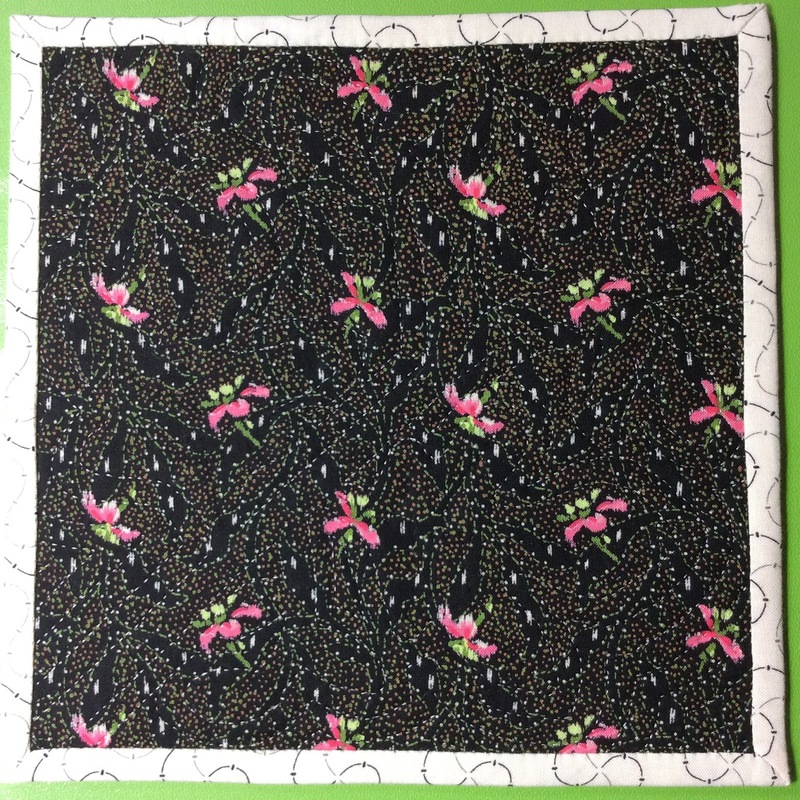 And this one I had to redo after I noticed the “read through” color of the backing fabric (click to enlarge the photo and you can see what I mean). It was a combination of the strong pink color on the backing fabric and the extra lightweight “antique” cotton shirting I used as a background. Of course, I didn’t notice it until it was completely quilted and bound! – ARGH! This pink is really strong! 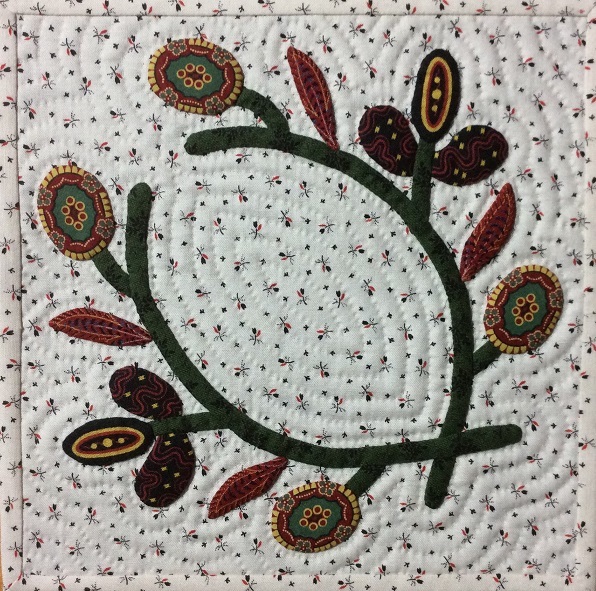 So, with any luck I will finish the remaining blocks in the next few months and get this think stitched together before 2018 is over! 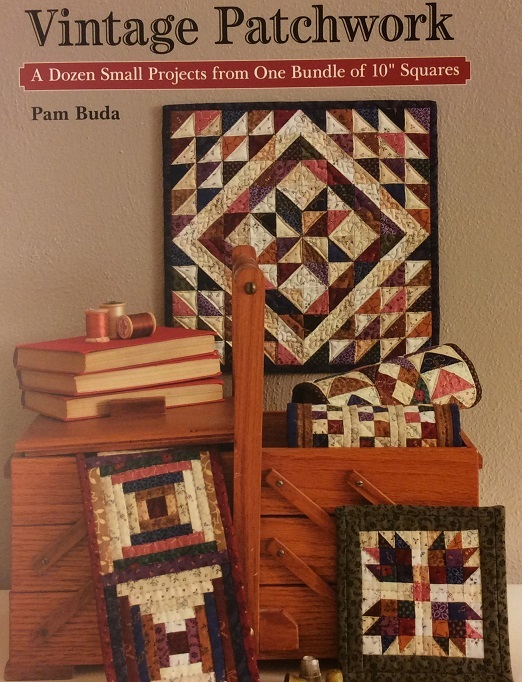 Pam Buda’s Vintage Patchwork arrived at my door last week and all I can say is “Oh Boy”! 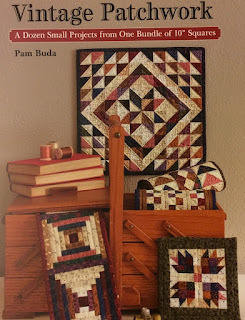 I don’t buy many pattern books because I like to draft my own so it is pretty rare for me to find a book where I want to make every project in it! 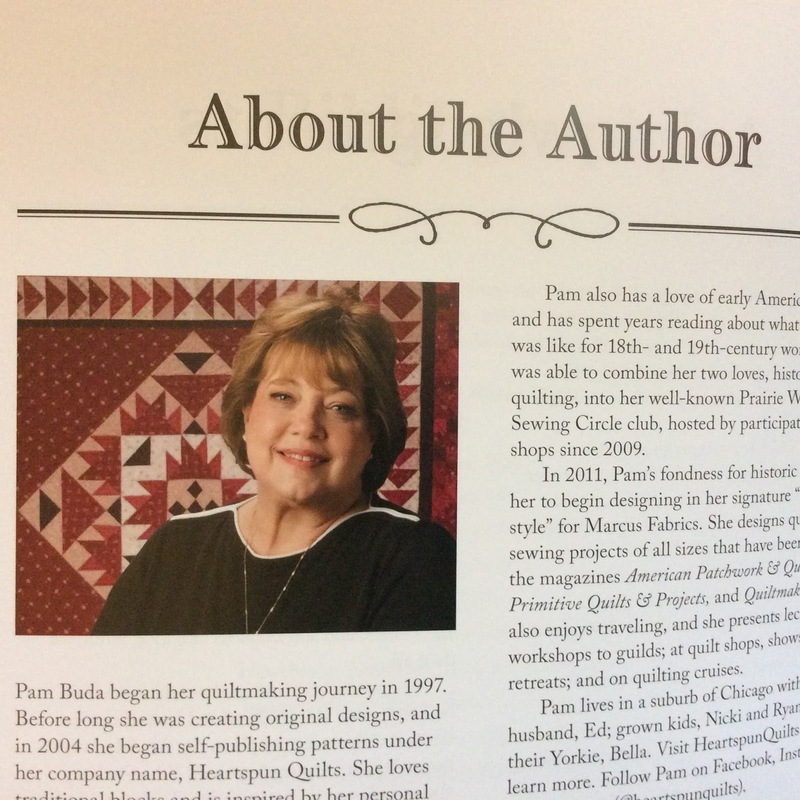 I met Pam (Heartspun Quilts) several years ago when she was teaching at our Maine show. I read her blog and have corresponded with her for some time, but until I read this book, I did not realize just how much we are alike! 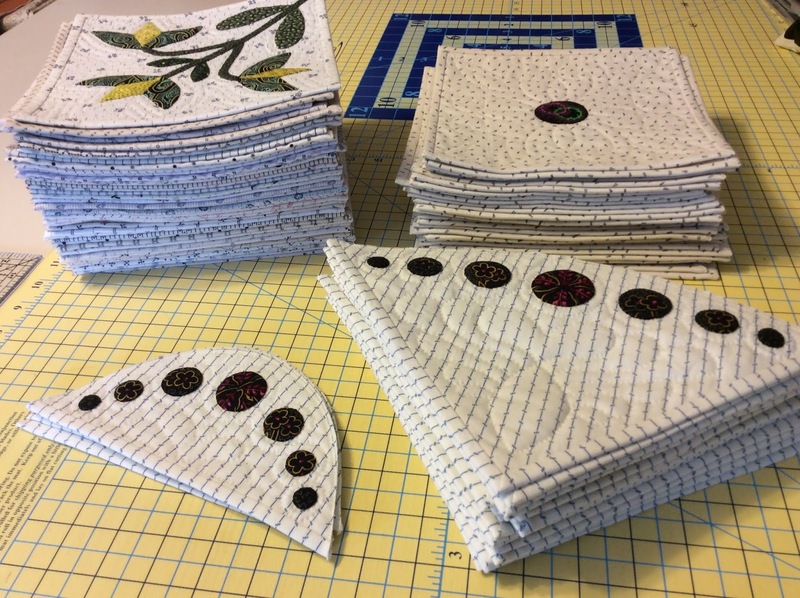 There are 12 different projects in the book and you can make all of them with one 10” precut packet of 40 or more prints. 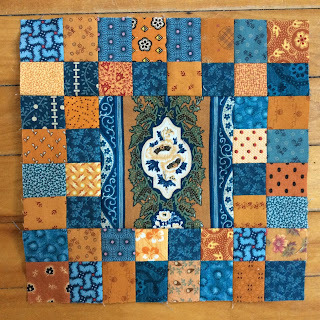 You can buy a precut packet or make your own with forty 10” squares of your favorite fabrics. She has laid out the cutting diagram so that you can make the necessary cuts for every single project all at once. There’s a time saver! So... I think you can guess the challenge part. Since there are 12 projects in the book, my challenge to myself and anyone who would like to join me, is to do one project each month beginning in January. This gives you plenty of time to get the book and collect your 40 squares. You can order your copy (here) and join in the fun! 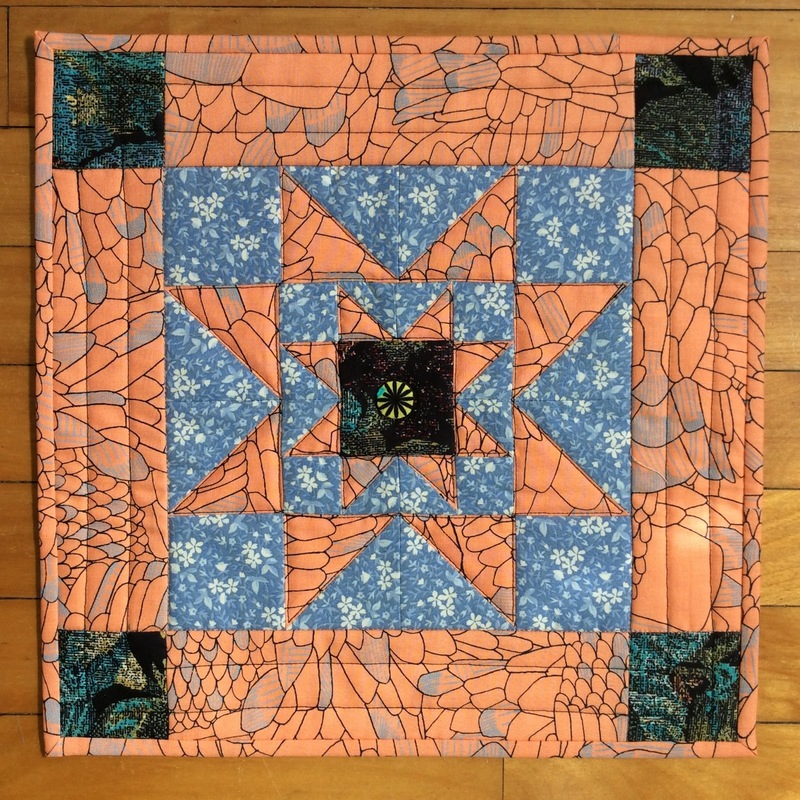 I (along with my cohorts) still plan on continuing to make one mini each month in 2019 and would welcome anyone interested in doing the same. You can "pop in" any time throughout the year! 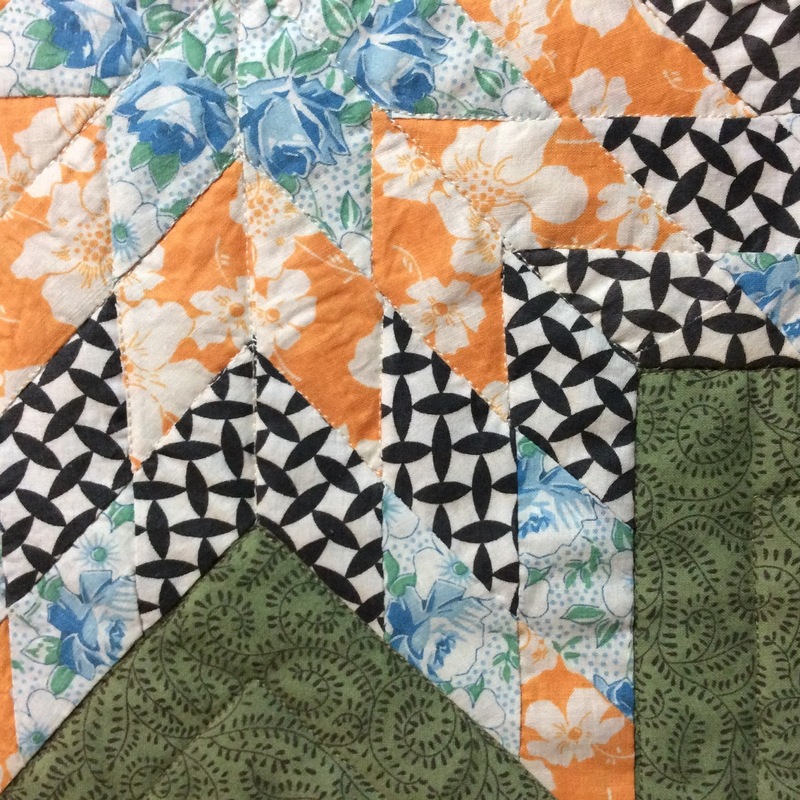 I have participated in Lori (Humble Quilts) mini quilt swaps over the years, but have never joined in on her mystery sew-a-long before. The first step of this one looked pretty simple so I took the plunge. 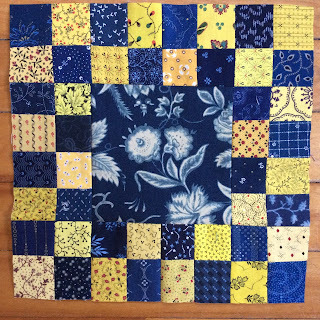 I wanted to pick up the colors of the sweet little French shop so I tried blue and yellow. 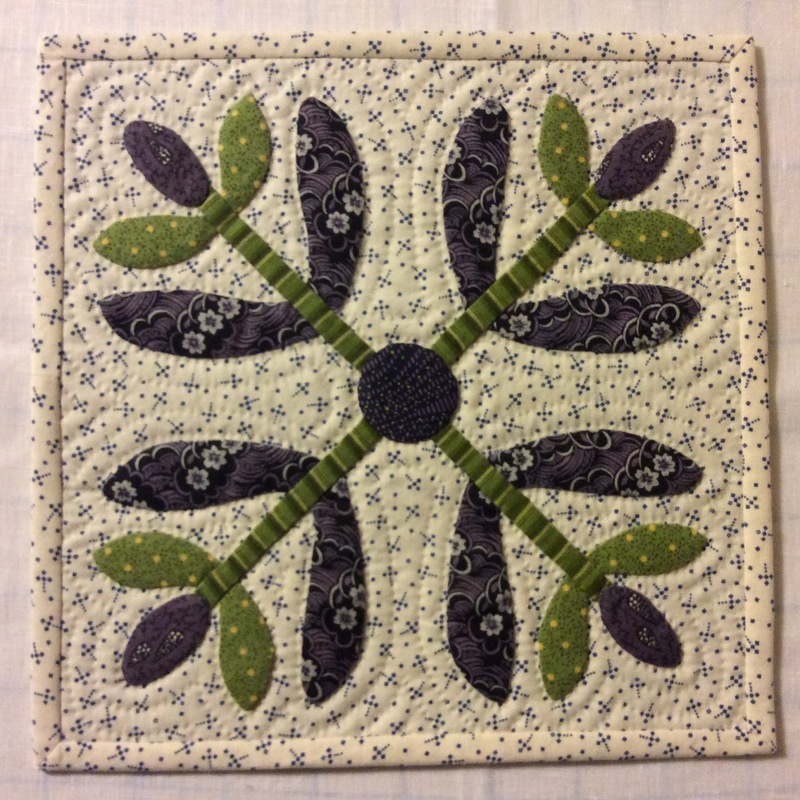 I wasn’t really happy with it even though I love the Betsy Chutchian fabric in the center. 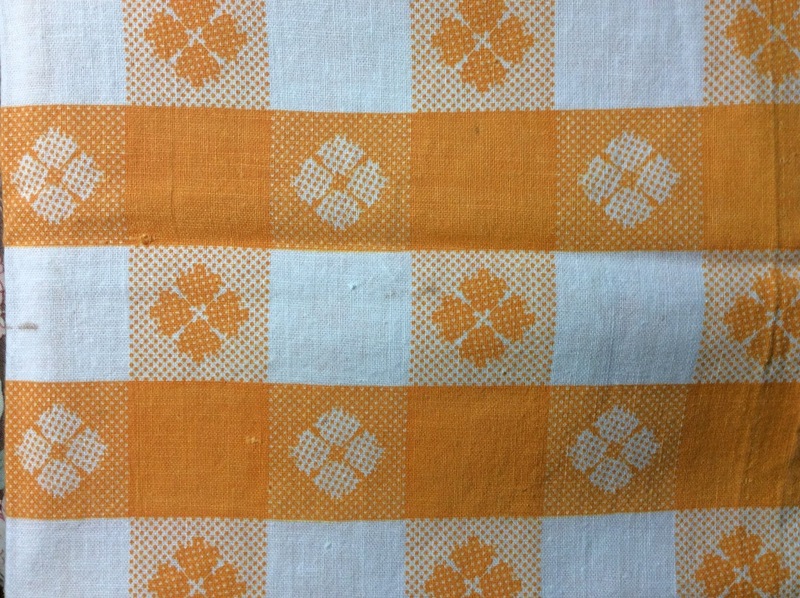 So, I tried cheddar and a more tealy blue. 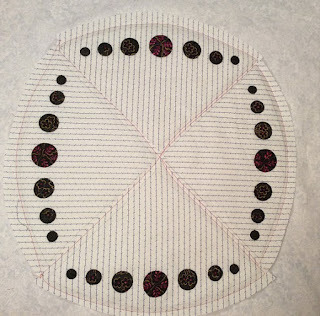 I have always loved this Mary Koval fabric in the center. Now that step two has been posted, I’m not sure if I like either of my choices. I’ll have to sleep on it (or under it)! Finished a few more Noah and Matilda blocks. 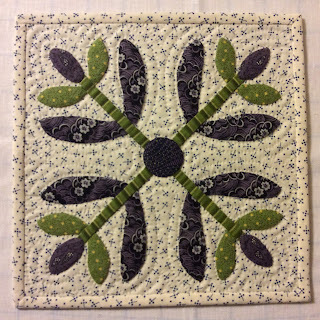 I am beginning to see the light at the end of this delightful tunnel and have been working on my alternate blocks. I think I can make my goal of finishing before the end of the year. 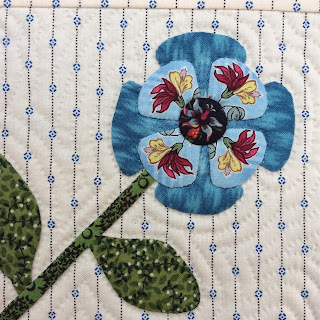 I needed to add some blue to the mix and I love this Dargate Botanical blue petal. 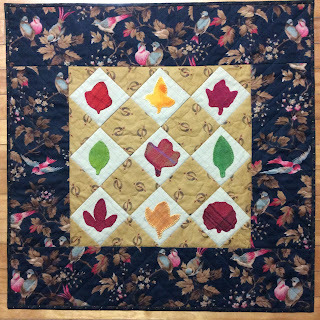 I used an antique neon for the leaves on this one. 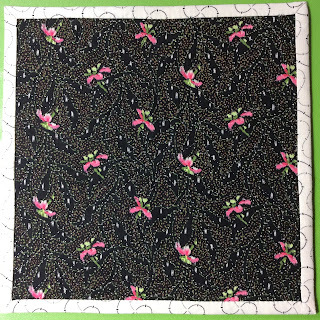 The backing fabric on this block is my all time favorite neon reproduction from Kaye England. 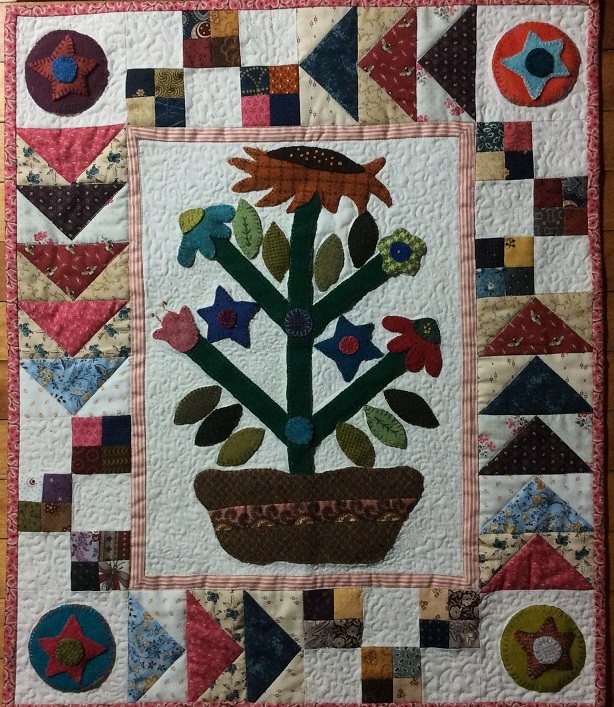 It was a gift from my friend Sue. I adore it.